The H2n handheld recorder packs groundbreaking features into an ultra-portable device. 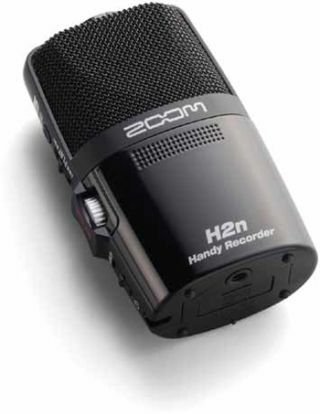 The H2n features five mic capsules onboard, enabling the handheld recorder to offer four recording modes. Mid-Side recording combines a uni-directional Mid mic that captures sound directly in front of you and a bi-directional Side mic that captures sound from your left and right. The H2n also provides more than 20 hours of continuous operation on just two standard AA alkaline batteries.